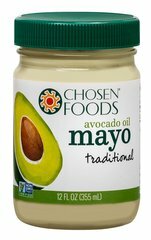 Chosen Foods avocado oil is first cold pressed, then naturally refined. We use a proprietary low heat process, which protects the nutrients and the delicate fatty acids. By gently removing the chlorophyll, waxes, sediments and free fatty acids in the oil, we are able to achieve incredible cooking oil. Our processing is so unique we are able to retain 80% of the beta-stisterol found in virgin avocado oil, as well as 60% of the vitamin E! This is the prefect high mono-unsaturated oil to use as a base for homemade mayo, or Paleo salad dressing. Heart healthy and a good source of Vitamin E. You can even use a moisturizer to nourish skin, use as a hair mask, and is always very popular for cooking. Our avocado oil has a smooth, buttery flavor, and a smoke point of up to 500 degrees Fahrenheit! There are many avocado oil uses when cooking: dressing, sauces, marinades, bake, broil, barbecue, sear, sauté or stir-fry! Cook the quinoa and lentils in two separate small pots of boiling salted water until they are both al dente, about 15 to 20 minutes. The quinoa will cook slightly faster. Rinse under cold water and drain. Spread both out onto a plate and chill. Meanwhile, combine the vinegar, mustard, jam, orange zest, orange juice and salt and mix until smooth. Slowly drizzle in the oil until mostly incorporated. Season with a generous amount of freshly cracked black pepper. Taste to adjust for seasonings. In a large mixing bowl, combine the quinoa, lentils, sliced fennel, green onions and mangoes and add half of the dressing and toss to evenly distribute. Fold in the crumbled feta, strawberries, and & pour in the remaining dressing. Lightly toss to mix throughout. Transfer to bowls or large serving dish. Serve salad topped with sprouts and sunflower seeds and enjoy immediately.